BEST TV-SERIES i've seen so far! 30 years after we saw the Sackbauers the last time, they have estranged from everyone. Only mother "Toni" tries to re-establish the old happy family. A S.P.E.C.T.R.E. Agent has stolen two American nuclear warheads, and James Bond must find their targets before they are detonated. Tells the story of a mainstream seventees working-class family in the Austrian capital Vienna. 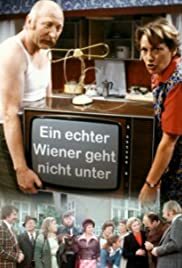 The main characters Edmund Sackbauer (Karl Merkatz) and Antonia Sackbauer (Ingrid Burkhart) live with their family in the tenth district Favoriten in Vienna. The main plot points vary in every episode as they discuss current issues of society.